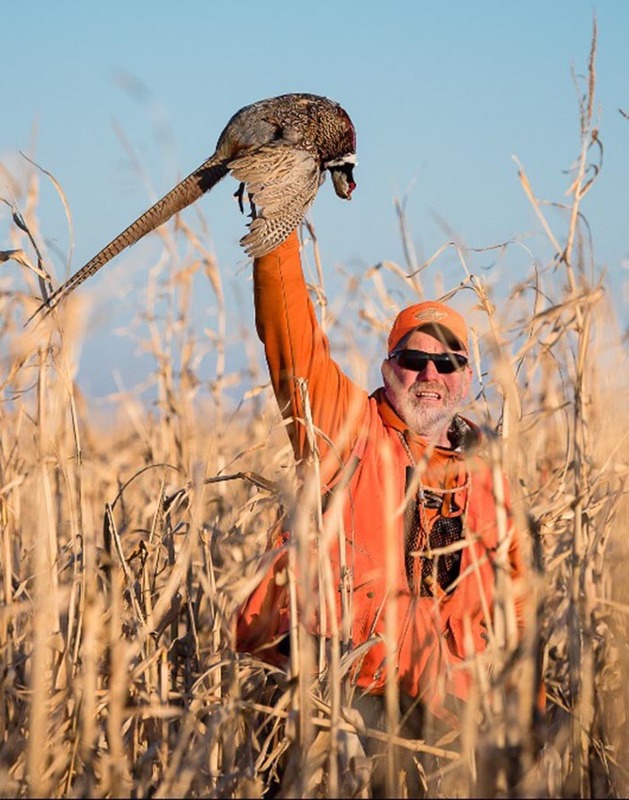 To make the most of the abundant opportunities which lie in wait for the bird hunting enthusiast, seasoned guides and world class dogs who know the land and love their jobs are an absolute necessity. Our guides are passionate, attentive, and knowledgeable. Our dogs are bred and trained for a job they adore. Together, their skills and experience combine to give our guests the hunt of a lifetime. Hello, I’m Tom Kuball. I live in rural Waterville, MN where I was born and raised. This is also where my wife and I raised our two (now grown) children. My wife, of over forty years, and I are also blessed with eight grandchildren! The dairy farm that I was raised on, 1 mile from where I live now, is still in operation which I am continuously involved in to this day. I also spent my entire career as a salesperson for CRI/Genex and am now getting the opportunity to spend more time on my passions in retirement! The great outdoors have been my passion for as long as I can remember. I grew up fishing with my grandpa and took up hunting and shooting as soon as I was old enough. My love for dogs and training dogs developed over time. Now, my wife and I own four Labradors that I run in hunt tests, field trails and use as gun dogs. I also train gun dogs, some competition dogs for others as well as guide in the fall at Pheasant Phun! I grew up in small town America (Savage MN) on the Minnesota River Bottoms, hunting and trapping and following dogs. Coonhounds to Labradors, I just loved to watch, raise and train working dogs. I met my wife just out of High School where we quickly understood we both had a love for dogs and sports. Married 41 years together we raised two daughters and a lot of pups! Ironically enough my oldest Annie grew to love hunting, and my youngest Marnie was the star BB and VB player, like her mom. Since buying my first gun dog (yellow Lab) at the age of 16, and now close to retirement I’ve owned, raised and trained what I like to say are some of the more elite bred animals money and love can buy. I met Dave at Pheasant Phun through friends as well as a dog sale. Our relationship has turned into a great friendship and somewhat of what I like to call a partnership. Now guiding at this fantastic family run facilty with a passion to meet new people, make memories and let my dogs do the talking! I grew up in a southern MN community on a small farm. I still live in that community today. I have been married to my wife since 1986 and have been blessed with three great kids that are out on their own now. My wife and I own and enjoy our small farm and run a small cow and calf herd. I have been in the MN Army National guard for 35 years and still love being able to serve. I just completed a thirty-year career in Law Enforcement, the last twenty with the State Patrol. I first became excited about hunting when my grandpa took his 22 and he and I went to the north woods and shot squirrels. He was definitely a better shot then I was. I think it was due to experience, maybe that’s why grandma was mad when we got back or that I was pretty little not sure. Never the less I was hooked and have been hunting ever since. My first great hunting dog became part of my hunt experience at age 21 to hunt birds (not a farm dog) and have had incredible dogs ever since. We compete in hunt tests and field trials and hunt every chance we can. I have been blessed with an opportunity to work with the Olsen’s at their Pheasant Phun preserve for the last few years. Dave, Anne and Amy are good honest people and I am proud to work with them. Through this experience I have met people from all over the nation and built relationships I will not forget. The good Lord has blessed me with a great life. 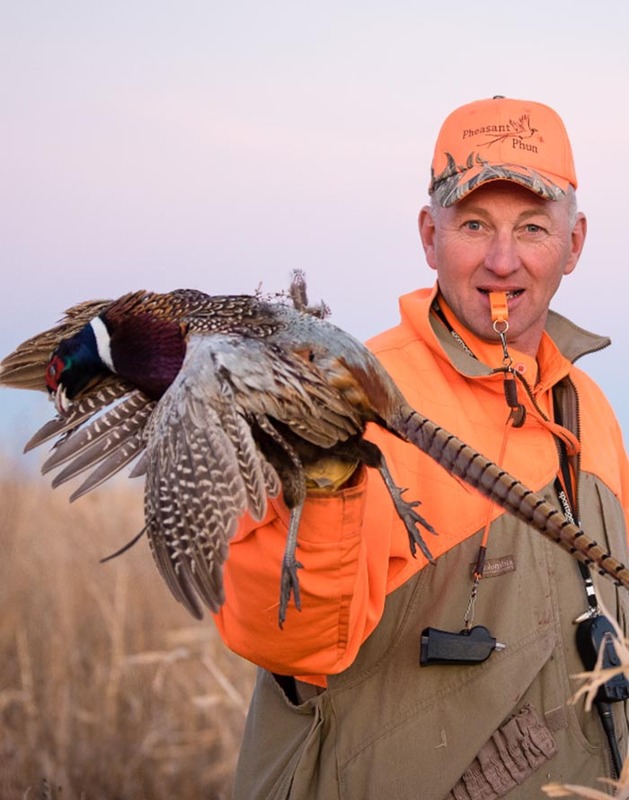 As a life long upland bird hunter Roger believes in honoring the hunt. 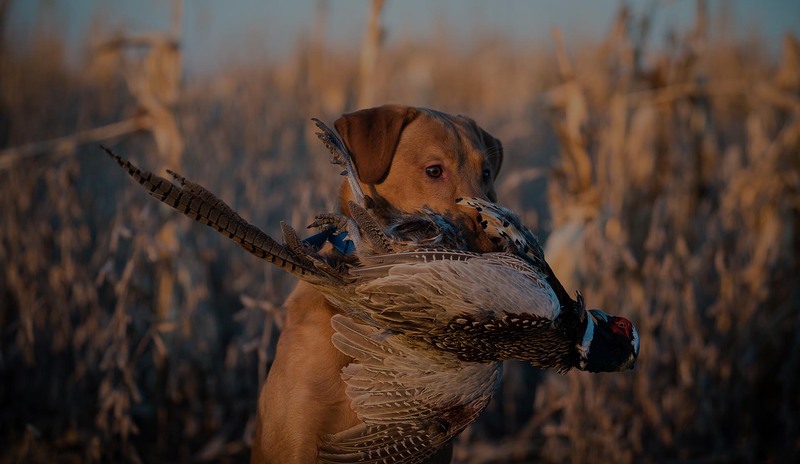 A good dog, fancy shot gun, and the gear to match is a great start for any hunt. 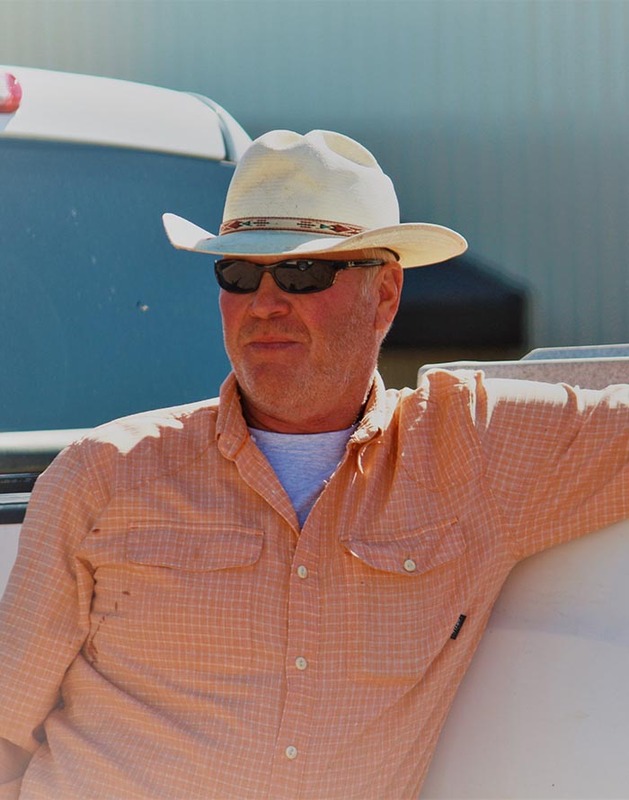 Roger is a South Dakota rancher and dear friend of the Olsens, we are blessed with wonderful friendship and his help during our busiest times is always spot on. Nothing more exciting than watching Rogers big yellow lab Axel lock up on point for one our guests! Jim has been helping us at the ranch for years. No, he doesn’t need a part time job but we are surely thankful he takes time for us. 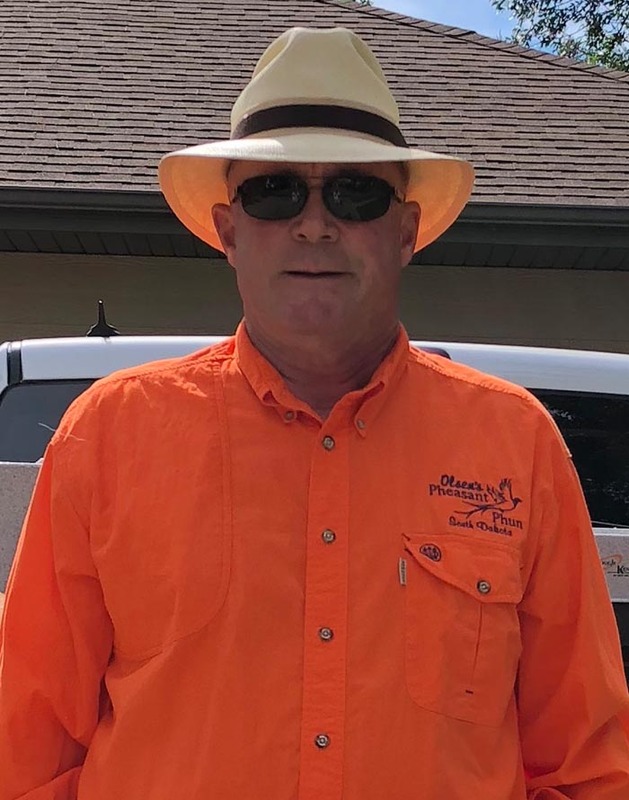 Jim is an auctioneer, years ago he owned a livestock sale barn and now he and his wife Peg help folks buy and sell real estate. 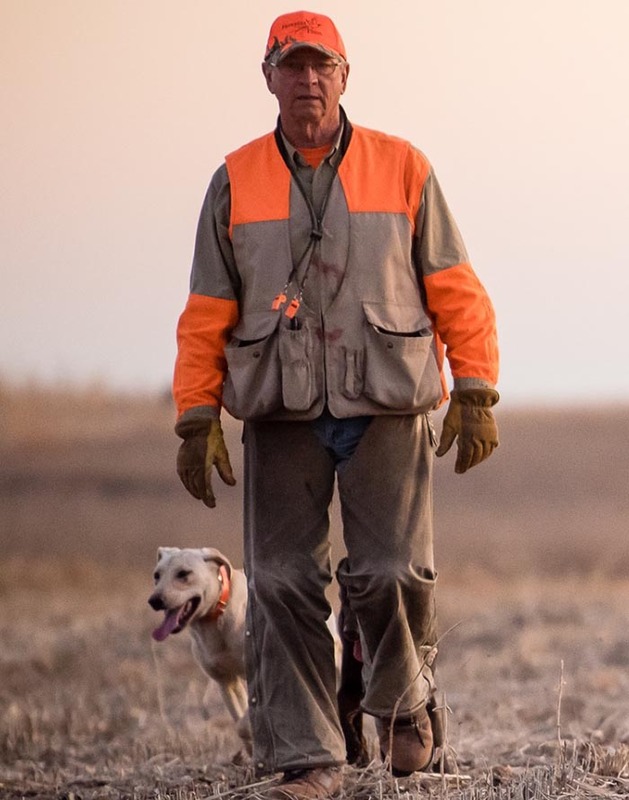 A passionate hunter, dog trainer, scotch expert, and a cherished friend. Thanks for always being kind and ready to help us Mr Thorpe. Introducing part of our canine staff.